Getting the bolt holes right on my HOG? On motorcycle frames, there are holes for bolting parts to the frame. If the hole is not in the right place or “off” just a bit in any direction, the parts cannot be attached and secured. Specifications for hole location were expressed in one of two ways: as a target with a tolerance in 2-dimensional space creating a square (for example, ± a specified amount on both the horizontal and vertical axes) or as a target with a specified radius creating a circle (for example, a target ± a specified radius). In production, measurements for the exact location of bolt holes were tracked using process behavior charts. If the process behavior chart for a given bolt hole location indicated that there were no exceptional causes of variation, the process was operating predictably. The next step was to evaluate the capability of the process. However, they found the current way of calculating capability of the bolt hole location to be confusing since there were multiple measurements involved. I was asked to develop a capability analysis for the process of drilling holes that maintained the rigor of the current procedure used for other dimensions and could be easily understood by the everyone. 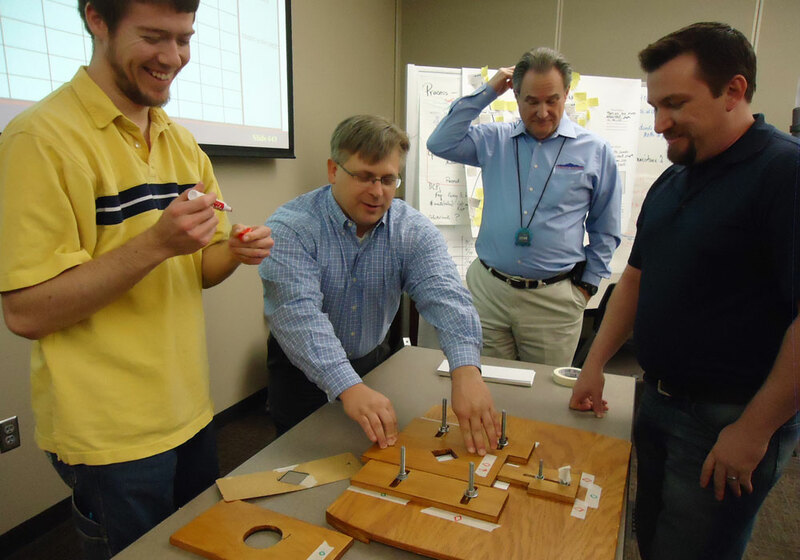 I worked with the quality manager, process engineers, and line workers to come up with a method that they could use. After several attempts, we did come up with a version that worked for this capability analysis and fit their particular situation. One of the critical issues in using statistical methods to analyze data is that the user understands and can relate to the situation and the analysis. I am always aware of the need to keep both the integrity of the method and the user’s situation in mind as I use my expertise to develop ways to study processes.